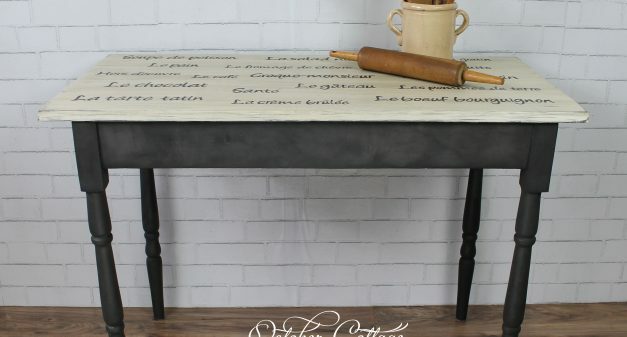 Hand-lettered and hand-painted farmhouse table. 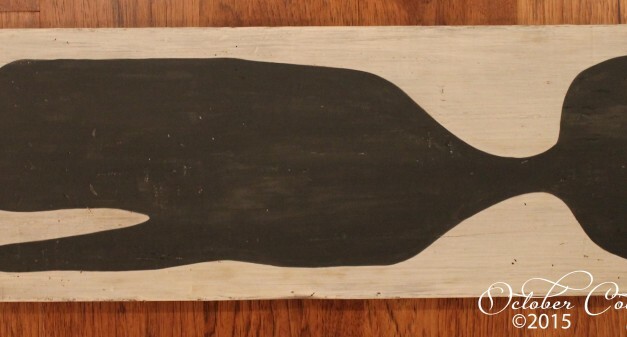 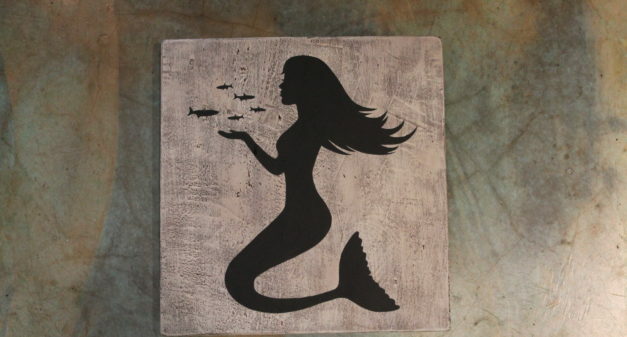 Black whale painted on 250 year old wood. 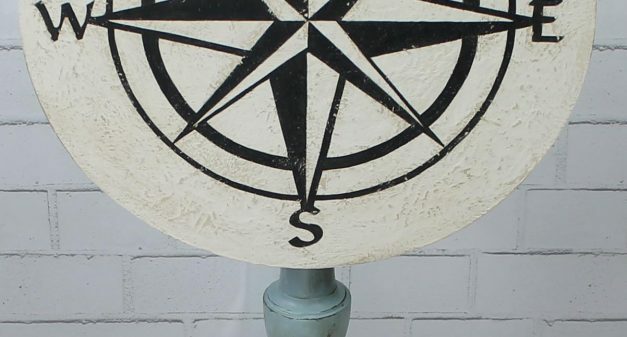 Our ZIP Code Buoys are hand-painted in a variety of custom colors. 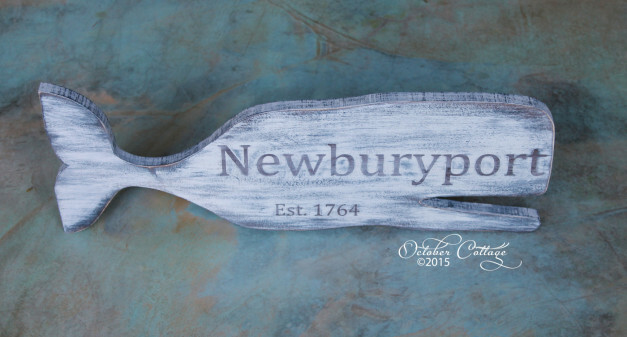 Our current inventory includes Newburyport’s zip code, but your zip code is available on request. 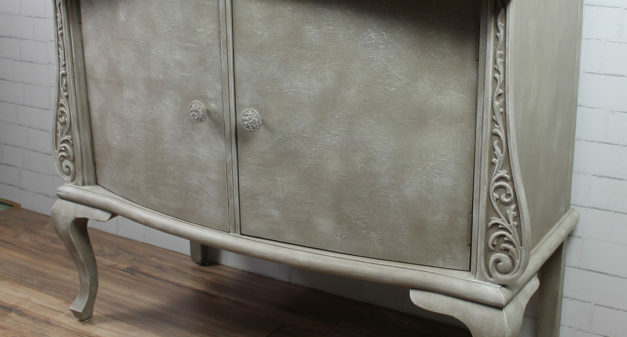 Susan chooses colors to complement each other, and the result is an interesting and beautiful conversation piece for your home or porch. 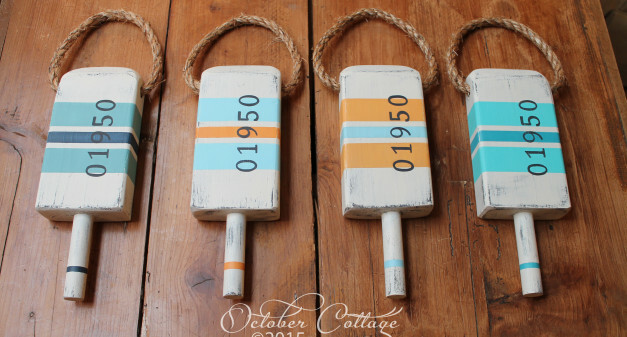 Custom made in the October Cottage woodshop, each buoy is solidly constructed and will provide years of enjoyment.